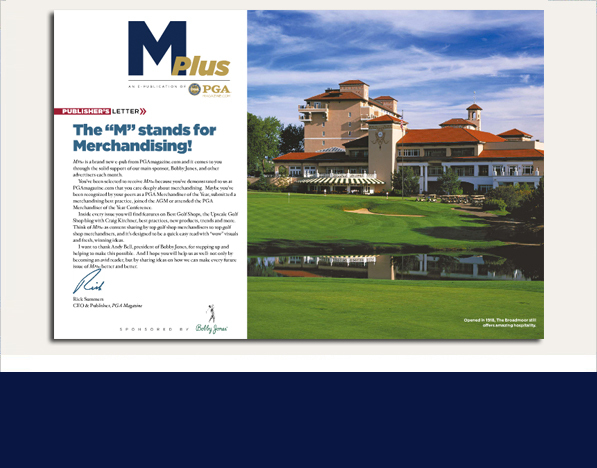 PGAmagazine.com’s monthly e-Publication, MPlus (Where the “M” stands for Merchandising), delivers short-form content designed to be a quick read on topics, such as Best Golf Shops, The Upscale Golf Shop and Hot Products. 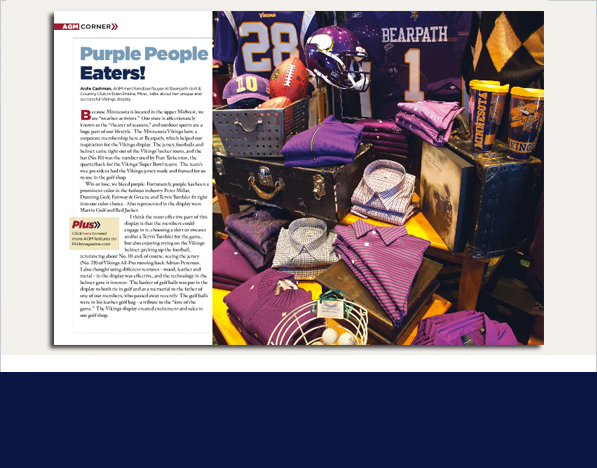 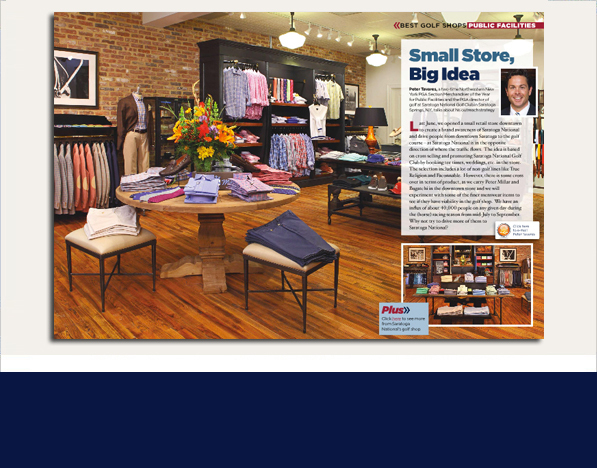 Each issue is limited to six category exclusive advertisers and is delivered to over 3,700 top merchandisers and buyers from the best facilities across the country, each with estimated annual shop revenue of $450,000. 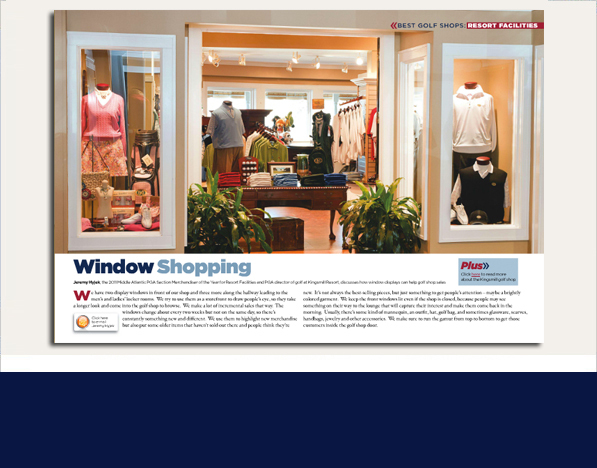 MPlus‘ circulation includes over 3,700 top merchandisers and buyers from the best facilities across the country, including: PGA Merchandiser of the Year award winners from Public, Private and Resort Facilities, AGM members, top PGA Professionals, buyers, and industry leaders. 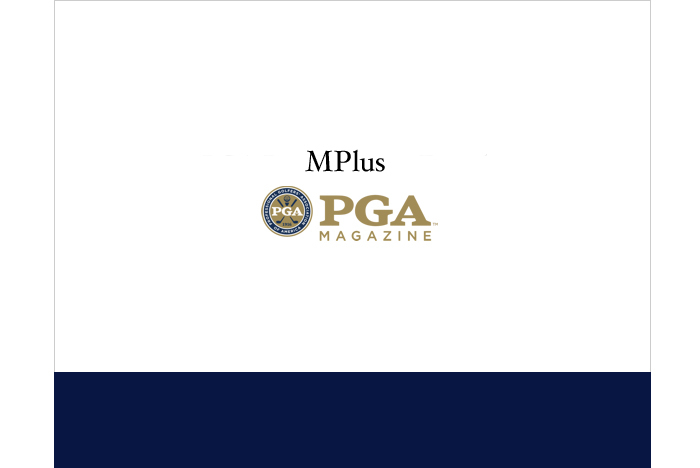 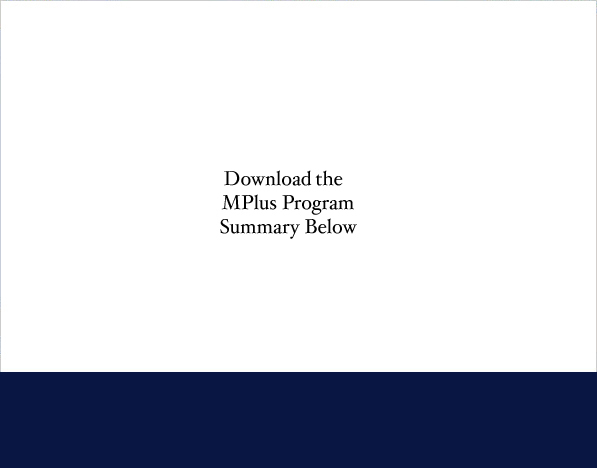 All past issues of MPlus are archived on PGAmagazine.com and accessible to all 27,000 PGA Professionals.